Everyone likes to save weight off their bike. No one likes to spend lots of money doing so. So we’ve worked out which are the best bits to upgrade on your bike with the maximum gram-per-buck ratio. We’ve split this into two categories: road and MTB. 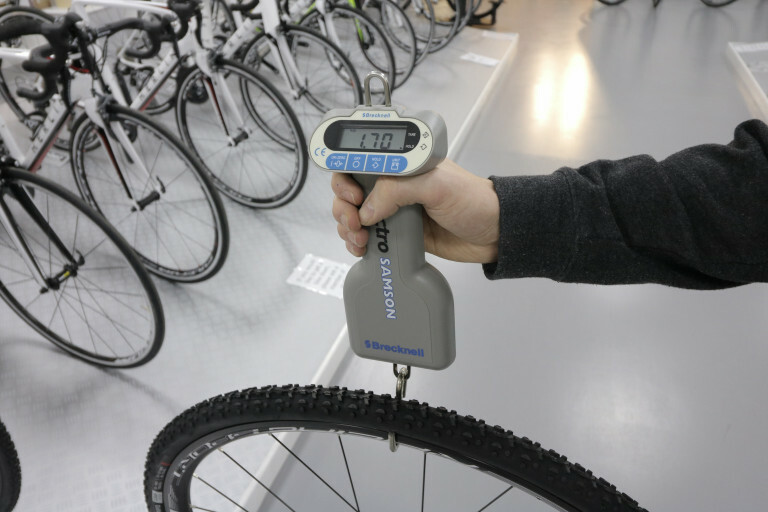 We’ve tried to make it as realistic and accurate as possible but everyone’s bike will be different – as will their upgrade budget – so you’ll need to bear this in mind when examining the comparison tables. We’ve also mostly used manufacturer’s stated weights (which are sometimes slightly inaccurate). Regardless though this info should be really useful, not to mention rather surprising, for all cyclists interested in shaving some grams off their bike in the most effective ways. The ‘From‘ column is intended to represent an equivalent sort of thing that you’d find as OEM on a mid-range off-the-peg complete bike. The ‘To‘ column is the suggested component to upgrade to. The ‘Merlin price‘ column is the cost of the upgrade item from us. We’ve gone with this (as opposed to RRP prices) because it better reflects the real world result. In order, tyres, saddle, pedals, chain and road bike chainsets are the most cost-effective things to upgrade. Wheels are a good weight saving (especially because it’s rotating mass) but they will always have a relatively high price tag. Handlebars and seatposts should be a bit further down your weight-weenie list than you might have expected. In order, cassette, chainset, handlebars, wheels and saddle are the most cost-effective things to upgrade. Upgrading to a better suspension fork is a good weight saving (and it’ll improve your bike’s handling) but a good fork will never be cheap. Somewhat surprisingly, upgrading disc brakes won’t save you much weight. You’re much better off upgrading all your drivetrain bits first. NB: we’ve not included tyres in the MTB comparison. This is because OEM tyres on MTBs are often light/skimpy affairs and as such any aftermarket tyre purchase will end up being the same weight (or even slightly heavier sometimes). Good question. Shoes and helmets can offer some surprising weight savings. So can winter jackets. So can hydration packs. But we’re not going to go into that this time. Maybe we’ll do a blog about weight-saving with apparel and accessories in the near future. Tagged listicle, weight saving, weight weenie. Bookmark the permalink. I think the Tiagra road cassette weight should have read 261grammes and not 216. Also, possibly would have seen better Gramme per pound ratios by going for ultegra rather than dura ace for road cassette and rear mech and XT rather than XTR for mtb rear mech. This would get most of the weight saving at about half the cost. What about inner tubes and tubeless compounds? For road tyres, most of the weight saving is to be had by going for Kevlar (folding) rather than wire beads and there are far cheaper options than GP4000’s, admittedly not as high performance. Interesting article though!